It’s fair to say that I don’t really like banks. To me banks are like the big kids in the playground that make up all the rules to suit themselves. They pass on charges for just about everything, increase their rates whenever they feel like it and borrowing money from them is pretty much like being bonded into slavery for the rest of your life. But being a victim achieves nothing and no body likes a complainer, so instead we look for ways to even out the playing field. The key to dealing with banks is to change your way of thinking and use their rules to your advantage. What we need to employ here is some creative thought – the best part about wealth creation! Banks take other peoples money and use it for themselves, so the best thing to do is copy them (ok, not very original, but I’m getting there). The idea is to use other peoples money, or more specifically the banks and make money work for you instead. There are quite a few different ways to do this, some are very transparent and quite well known, while others are a little on the shady side. A few years ago I got married, I still am so must be doing something right! Like many people we had a reception with dinner and drinks for everyone and we all had a great night. My wife and I didn’t have the money to pay for this upfront as it was a pretty substantial amount, so we put the whole lot on our credit card. I know what you are thinking, bad move wealth creation dropkick, that is going to cost you! You are very right, it would have, but the next part is where it gets creative. We had around a month before our bank began charging interest on the balance of our card, so in the meantime we researched some other credit providers and found one that offered a card with a small joining fee, no transfer cost and 0% interest rate for the first 6 months. So after about a month, we transferred the balance on our everyday credit card to the zero interest card and paid it all off within the 6 month period. Not a bad way to get hold of a cash advance free of charge eh? We also got to keep the frequent flyer points we got for using our everyday card in the first place, Bonus! 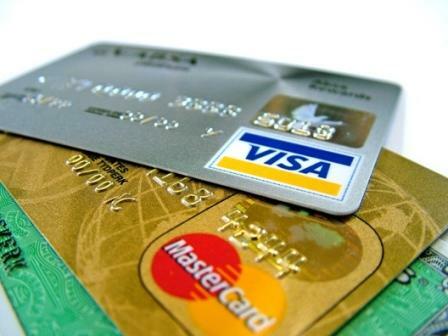 Credit cards can be very useful tools if you use them the right way. In addition to accessing cash upfront, there are often some other credit card perks, like rewards programs, extended warranties, travel insurance and other things that make them attractive. These should not be the main reason for getting them however, unless you are confident you can pay the balance every time before it is due. There are some pretty clever people in the world, some of which have found other creative ways to use zero interest cards. Some of these methods are a little more shady and I don’t necessarily endorse them, but I think they are worth mentioning. The term Stoozer was coined in the UK a few years ago and refers to someone that utilises the available funds on a zero interest credit card to invest and make money, usually with a high interest account, but sometime to offset a mortgage or other loan. The invested funds are essentially free as our clever Stoozer will pay back the balance before the interest free period expires and pocket the profit or make a financial gain in some way. It’s a pretty clever way to turn a buck, but it would certainly require some careful planning. Credit card Tarts are a little different to a Stooz. These people jump from one interest free card to another to extend their loan period. Although this is really just an extension of the concept I used in my situation, it is not really a great strategy. As a minimum, there are usually joining fees on new cards, which means paying money that doesn’t go back onto the loan. Utilising the resources available to you is great if you use them properly, but continually rolling over debt gets you nowhere. So there you have it, some tricky ways to make the banks work for you and save some money in the process.